Her pool-side fashion is top notch in the Stella McCartney Kids™ Striped Palm One-Piece Swimsuit. Product measurements were taken using size 12 (Big Kids). Please note that measurements may vary by size. 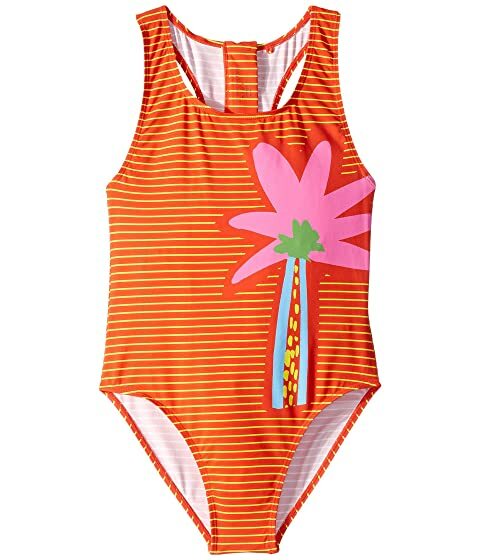 We can't currently find any similar items for the Striped Palm One-Piece Swimsuit (Toddler/Little Kids/Big Kids) by Stella McCartney Kids. Sorry!